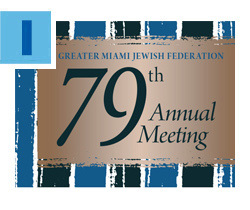 The 79th Annual Meeting of the Greater Miami Jewish Federation is less than two weeks away! Join us for a luncheon on Wednesday, June 7 at Jungle Island as we honor five exceptional Jewish leaders for their commitment to Jewish life and community. The Stanley C. Myers Presidents’ Leadership Award will be given to Adam Lustig and Elizabeth Schwartz; the Sandra C. Goldstein Young Leadership Award will be presented to Larry Bassuk and Alexandra Lehson, and Ilene Kossman will receive the Robert Russell Fellowship Award. Click here to RSVP. Hundreds have responded to the need in Venezuela! 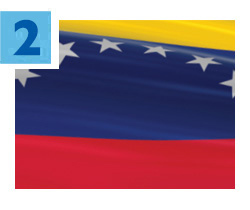 Join the movement and show your solidarity with our Jewish community by donating to the Venezuelan Support Fund. Earlier this month, Federation and Friends of Yajad – Venezuela joined forces to help the Venezuelan Jewish community during this time of extreme hardship. Please consider making a donation now by clicking here. One hundred percent of all money raised will go directly to programs and services in Venezuela. In an effort to cultivate the next generation of Jewish leaders, University of Miami Hillel will offer ongoing learning opportunities to young Jewish adults through its new Base Miami program. 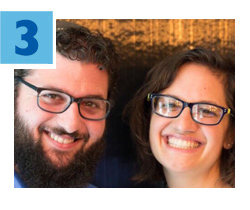 Beginning this August, Rabbi Adam and his wife, Jessie Gindea, will invite young professionals to connect to their Jewish identity through relationship-based engagement opportunities. Base Miami is supported by Federation’s Mason-Glazier Fund for Jewish Identity, in partnership with Hillel International’s Office of Innovation. Hillel receives annual Federation funding. Read more. 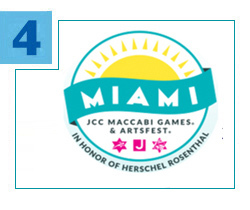 Be a part of the upcoming 2017 JCC Maccabi Games and ArtsFest in Miami! More than 1,000 volunteers are needed for the Games, being held from Sunday, August 6 to Friday, August 11, and Federation’s Jewish Volunteer Center (JVC) is helping coordinate the effort. A volunteer interest meeting will be held on Monday, June 5 at 7 p.m. at the Futernick Art Gallery at the Alper Jewish Community Center. There are opportunities to match every interest. For more information, click here. Even in relatively peaceful times, it’s important to remember the many lone soldiers in the Israel Defense Forces. These young olim (immigrants) bravely left their homes to make aliyah. Thanks to your support of the Annual Federation/UJA Campaign, lone soldiers are never truly alone. Through WINGS, a Federation-funded program of our overseas partner agency, The Jewish Agency for Israel, nearly 1,000 soldiers with no family nearby receive emotional and physical assistance, such as care packages, hospital visits, aid for visiting family and more.